I’m a mommy to two amazing boys. Who would have ever thought that me, Miss Girly-Girl, Barbie lovin’, doll collecting, ballet dancing, ribbons and bows, lace and frou-frou, would have BOYS?! Well, it just so happens that I have adapted to boyhood wonderfully. I’m down with the cars and action figures, dirty fingernails and sticky jam-hands. And although there are not nearly as many cute boy clothes out there as girl clothes, it doesn’t stop me from wanting to shop and pick out cute new clothes for my little men. My latest trip was to the wonderful world of Target, where the clothes are cute and the prices are cheap! 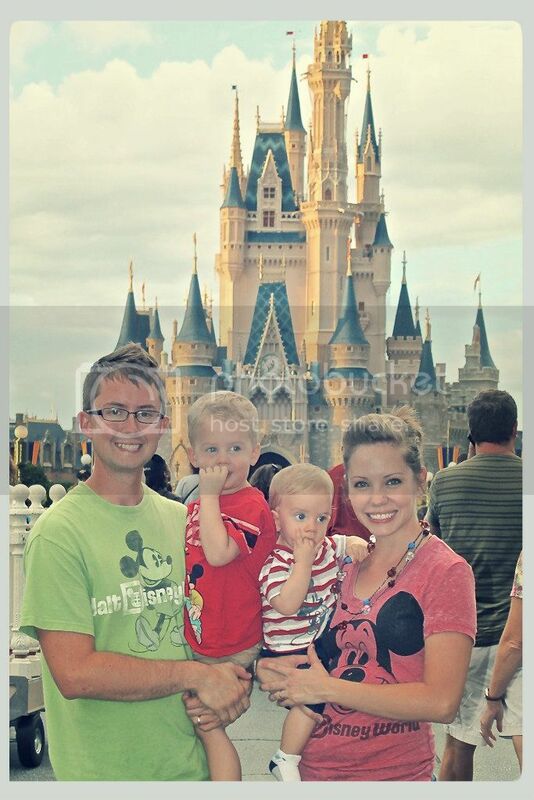 When we are in Disney, we like to wear Disney! I think that makes since, yes? However, to buy a Mickey Mouse t-shirt in WDW is a lot more expensive than to buy them at home. I scored these babies at $8 apiece at Target, the two dinosaur shirts being only $5 apiece! 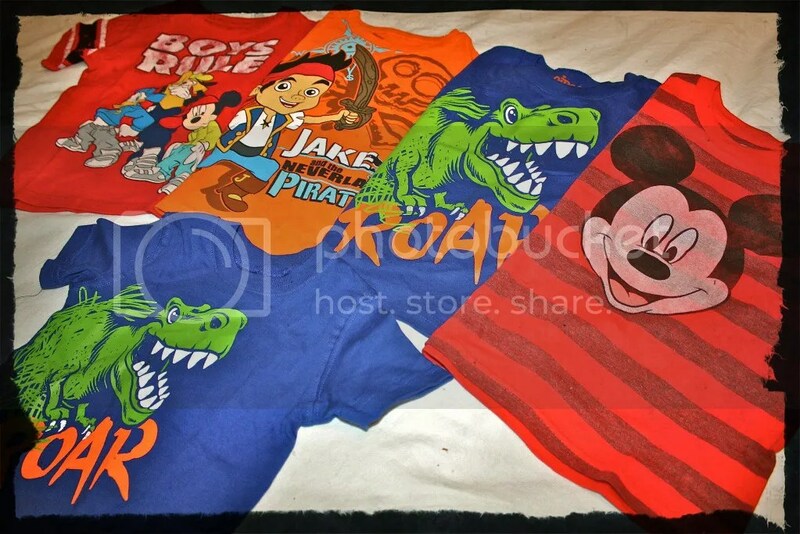 I know matchy-matchy can be a bit cheesy, but I say a WDW vacation is the perfect place to be cheesy, and my boys will be too cute eating dinner in their T-Rex shirts at T-Rex in Downtown Disney. To top it all off, though, I found this little lovie at The Children’s Place for $1.99. That’s right! 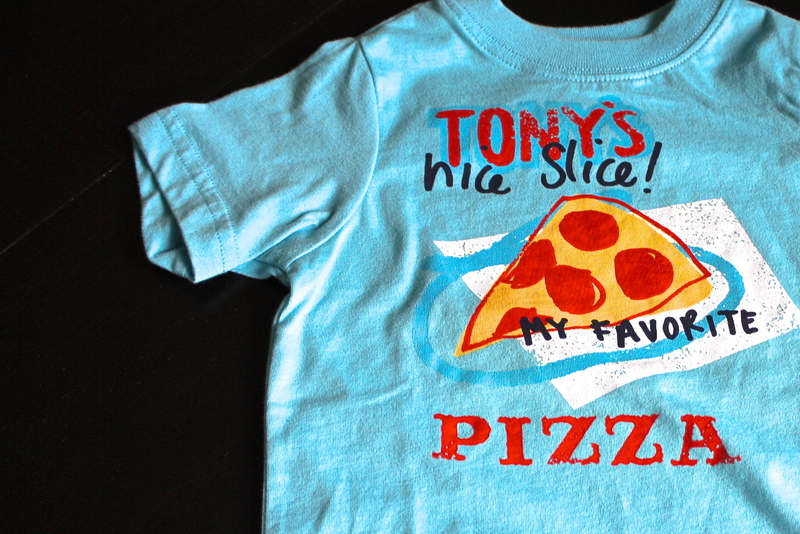 $2 and my little Cole bug is going to be dressed to match when we eat at Tony’s in Magic Kingdom. So how about you? Do you like to buy while on vacation? Or do you like to stock up before hand? Honestly, we do both, but we like to save our precious souvenir money for those one-of-a-kind, can’t-find-it-anywhere-else souvenirs. So here’s to a true “buy now, save later” moment!